We’ll start with some issues of women who held the rank of Augusta, the equivalent of “empress”. 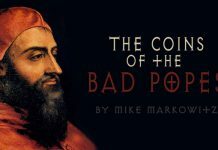 As this survey will demonstrate, it was typical in the Late Roman world that coin types were more elaborate for men than for women. 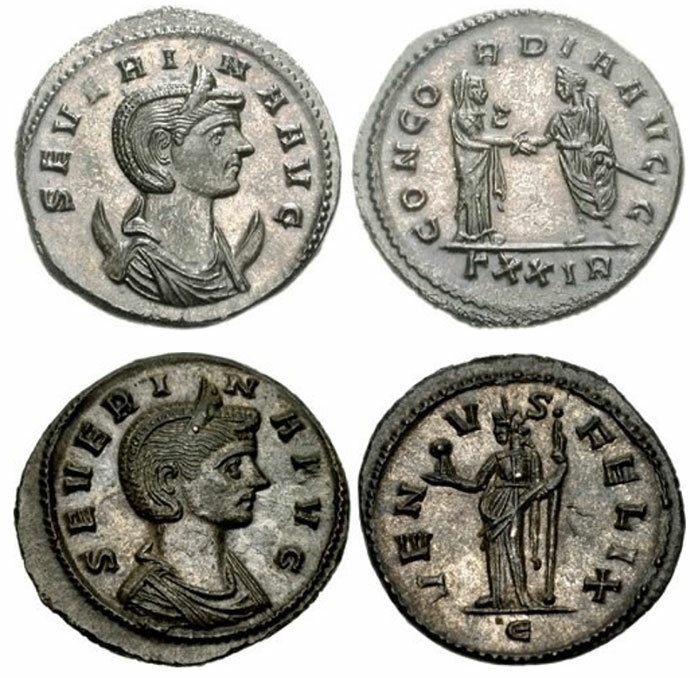 Above are two billon coins of the empress Severina, wife of the emperor Aurelian (270-275 CE), both with a basic portrait in which she is draped and wears a crown called a stephane. 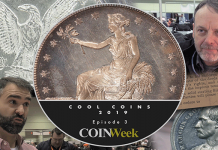 The first is a double-denarius (on which her bust rests upon a crescent), the second a denarius. 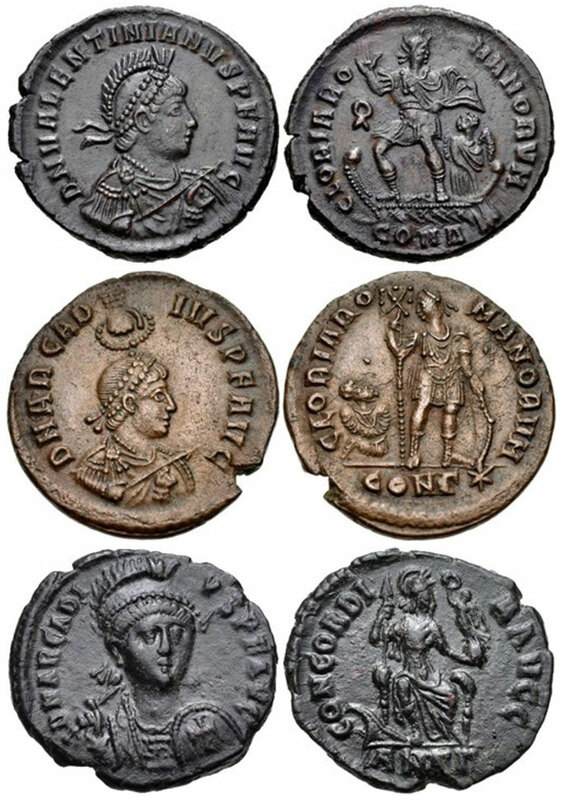 Shown above are two small copper coins, AE4’s, of the empress Theodora, who, about three decades before these memorial issues were struck, had been married to the emperor Constantius I ‘Chlorus’ (305-306). Both show basic portraits of Theodora, with the first one being the simplest, and the second being adorned with a necklace and a more elaborate hairstyle. 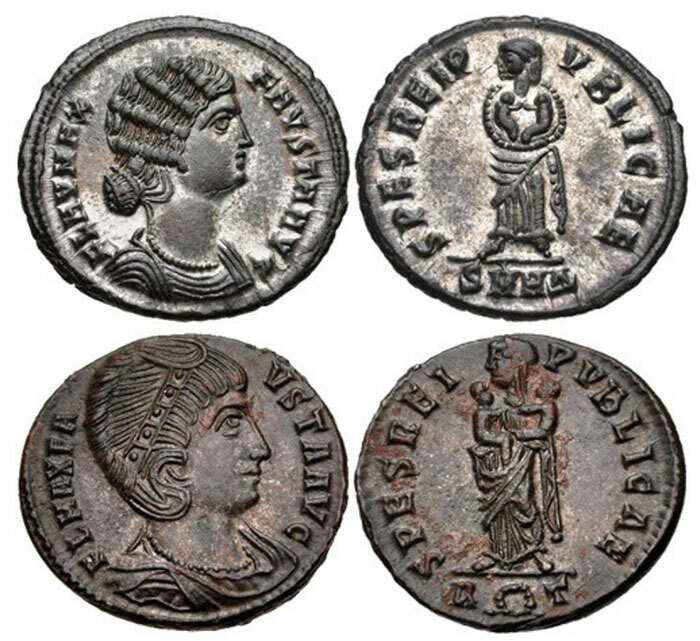 Above are two portraits of Fausta, the ill-fated wife of Constantine I ‘the Great’ (307-337). Both are fairly standard portrayals for the era, though with markedly different hairstyles. 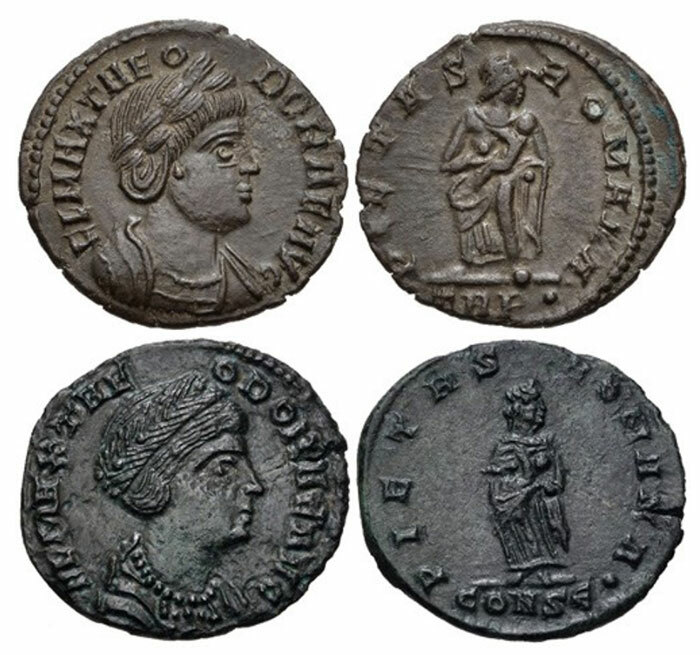 The last two coins of imperial women of the Late Roman Empire in this survey appear above. 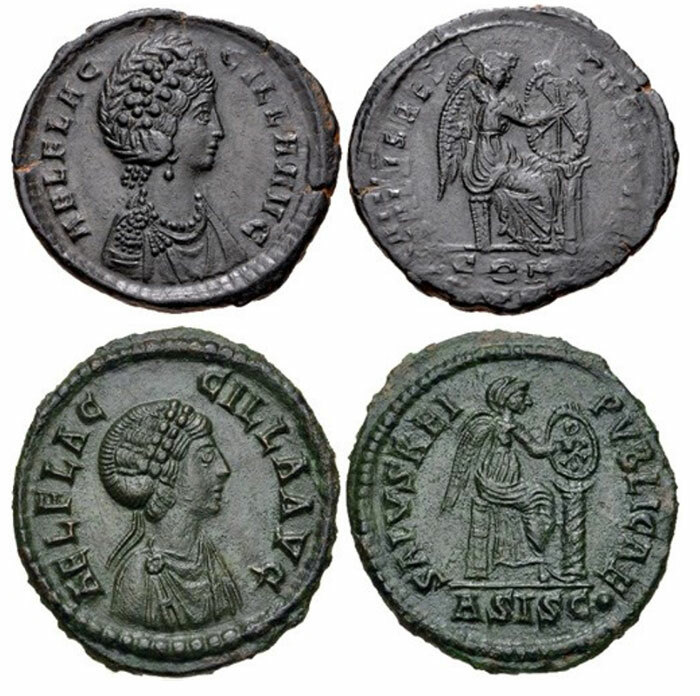 Both are copper AE2’s of the empress Aelia Flaccilla, wife of the Eastern Roman emperor Theodosius I (379-395). 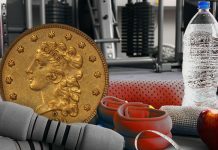 As with the coins of Fausta, they are similar in appearance, though with different treatments of garments and hair. 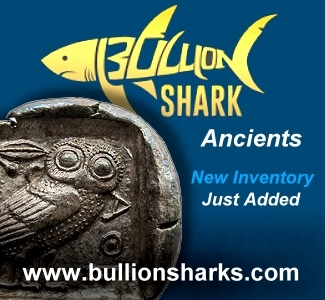 Illustrated above are four billon coins. First is a nummus of Romulus, the deified son of the rebel-emperor Maxentius (306-312), which has no ornamentation at all. 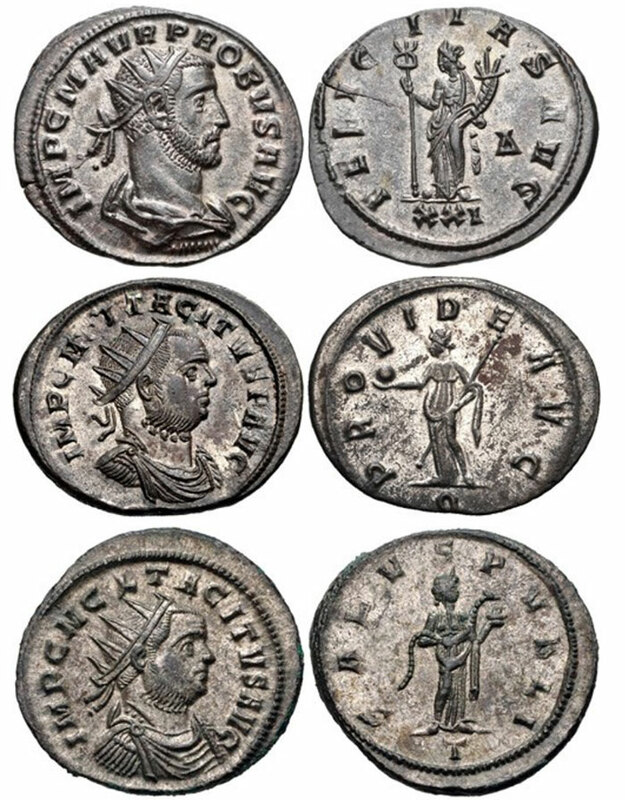 Next is a nummus of Diocletian (284-305), whose portrait is adorned only with a laurel wreath. 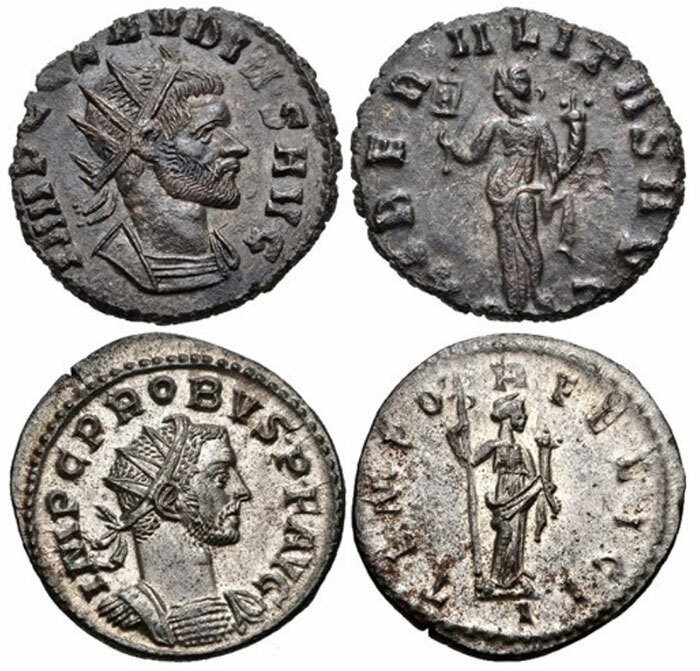 Finally, there are two double-denarii of Claudius II ‘Gothicus’ (268-270) without ornamentation beyond his radiate crown. Another common presentation is the cuirassed bust, on which the emperor wears a cuirass (armored breast plate). 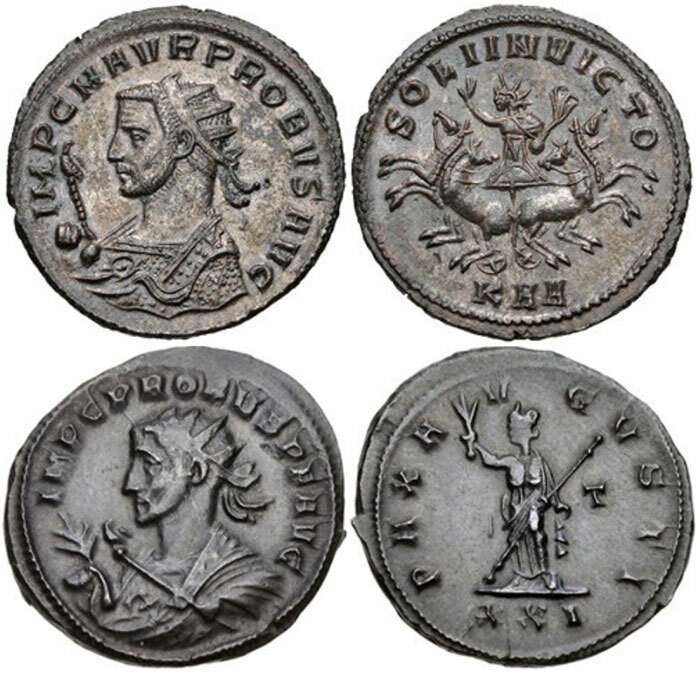 Two examples are shown above, the first a double-denarius of Claudius II ‘Gothicus’ and the second an aurelianianus of Probus (276-282). 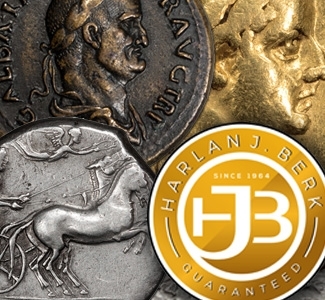 On both coins the emperors wear a radiate crown. We’ll round out the ‘simple’ bust types with the most common of all: draped and cuirassed, in which the subject wears a cloak over his armor. He usually also wears a laurel wreath or a radiate crown. 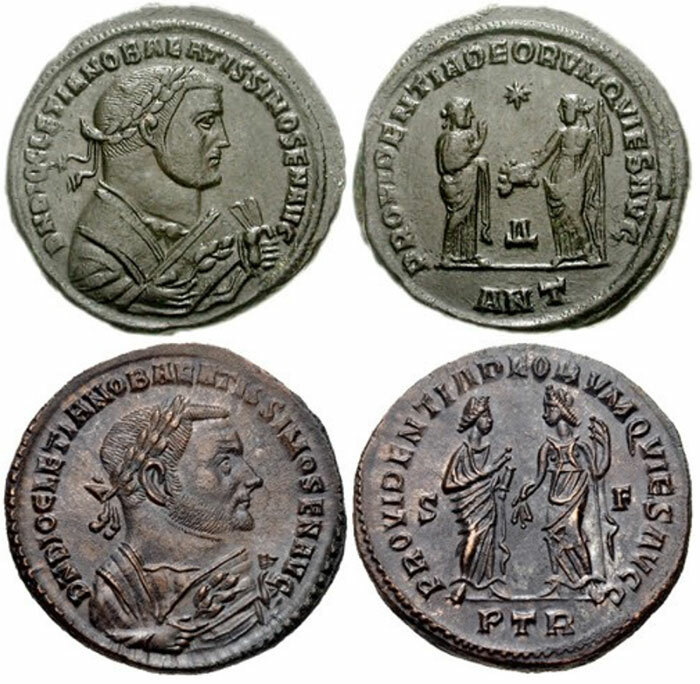 The portraits on the three billon aurelianiani above, the first of Probus, the next two of Tacitus (275-276), all are adorned with a radiate crown. 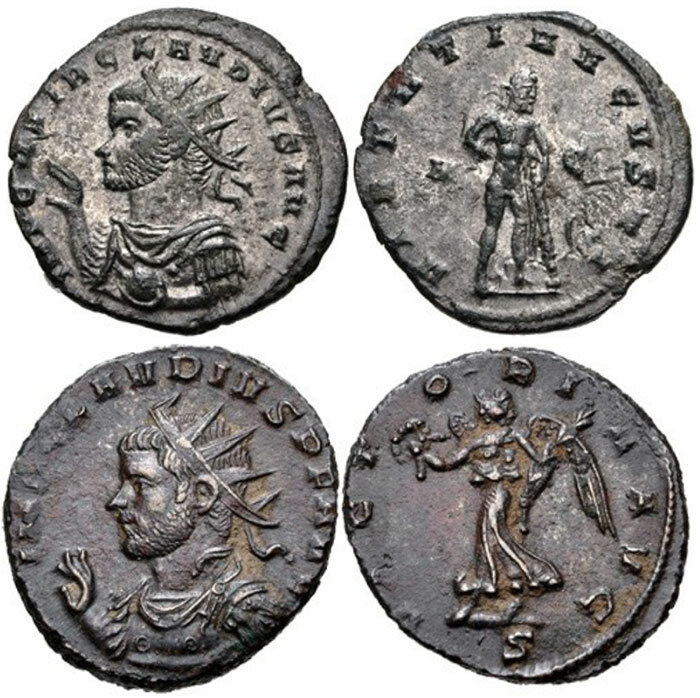 Above are two other coins showing emperors in consular garb, holding an aquila. 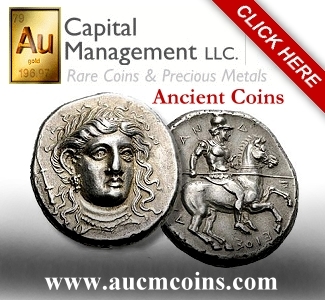 First is an aurelianianus of Tacitus with an especially artistic depiction. 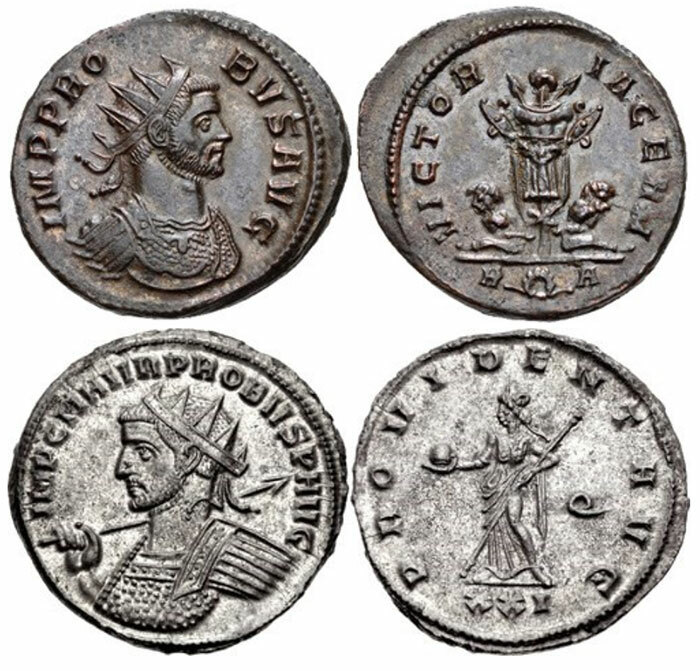 The second is an AE3 of Constantine I ‘the Great’, also with a highly detailed image (even if the proportions are unrealistic). 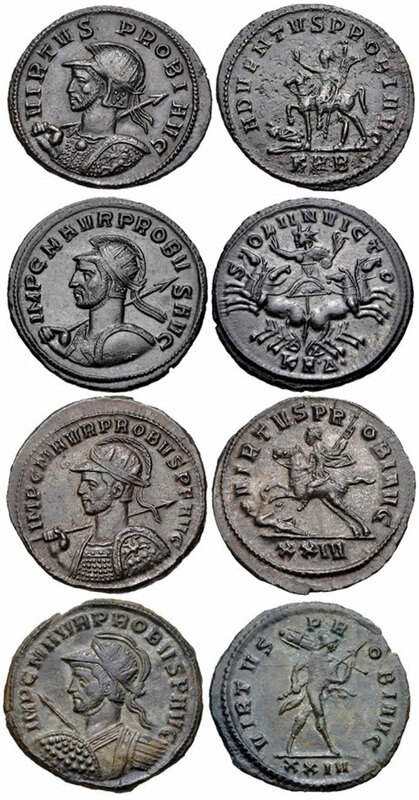 Next are two AE3’s of the emperor Licinius I (308-324) and his son, the Caesar Licinius II (318-324). 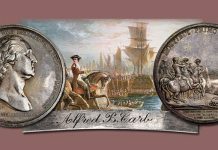 Each is shown in consular garb, holding a scepter, a small globe, and a mappa. 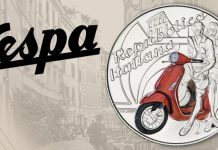 The globe represented Rome’s dominion over the world and the mappa was a rolled cloth that by this era had become a standard element of consular regalia. Note how the son’s portrait is significantly smaller than that of his father. 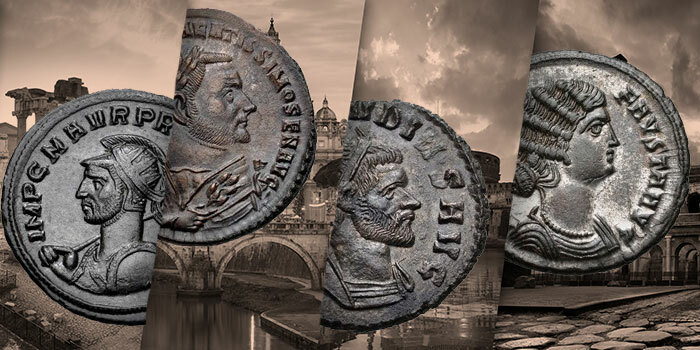 Shown above are three Late Roman coins with fascinating military portraits. 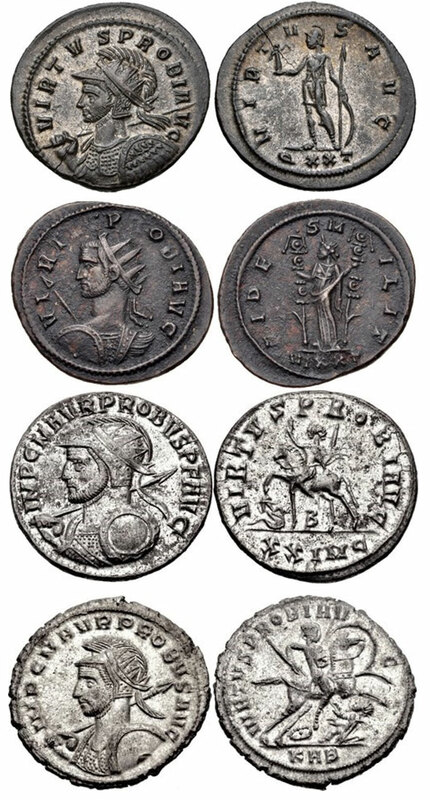 First is an AE2 of the Western Roman emperor Valentinian II (375-392), who holds a spear and shield and wears a diadem crown, a helmet and a cuirass. 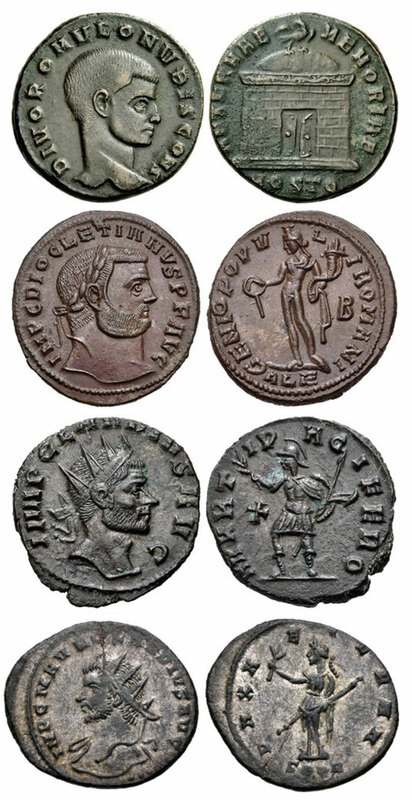 The next two are copper coins of the Eastern Roman emperor Arcadius (383-408), which are similarly adorned, though on the first, an AE2, the emperor is crowned by the Hand of God (manus dei), and on the second, a smaller AE3, the bust is rendered three-quarters facing. 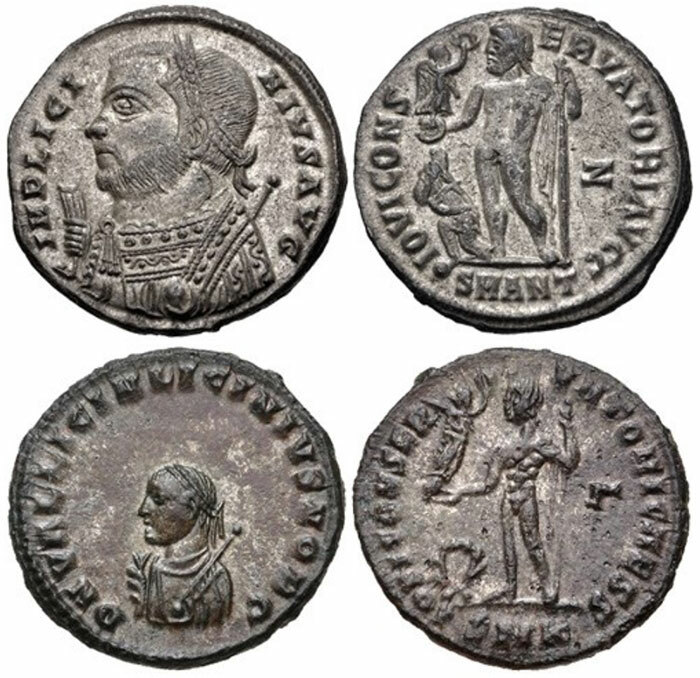 Above are two highly unusual Roman portraits on double-denarii of Claudius II ‘Gothicus’. 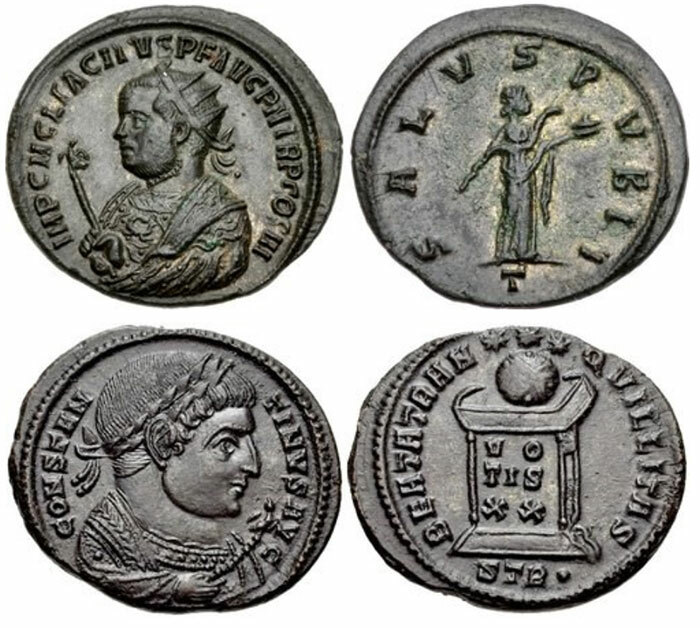 In both cases the emperor faces left, wears a radiate crown, and raises his right hand in a gesture of salutation. On the first piece, the emperor also holds a globe.